How do I bill a project in stages? 1. Select a project → Overview → Project Settings. 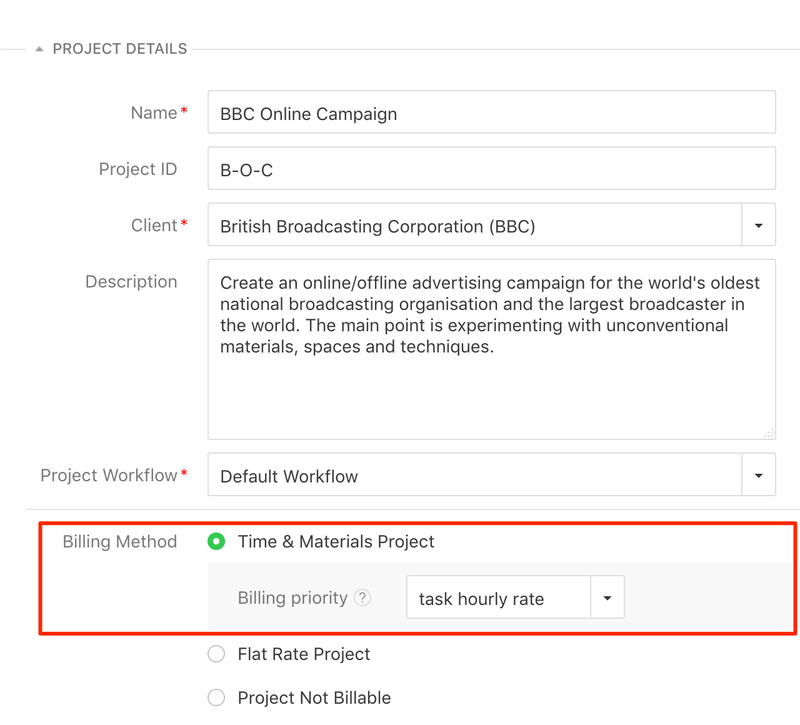 Here you need to change the project's Billing Method as "Time&Materials", and the Billing Rate as "Task hourly rate". 2. 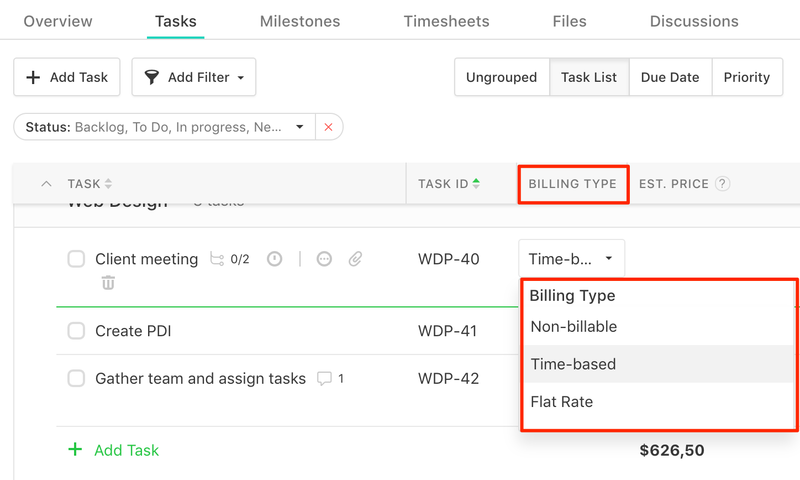 Go to the Tasks area of the project and change the tasks' Billing Type to "Flat rate". This will allow you to add your own estimated price, independent of the hours worked and user rate. 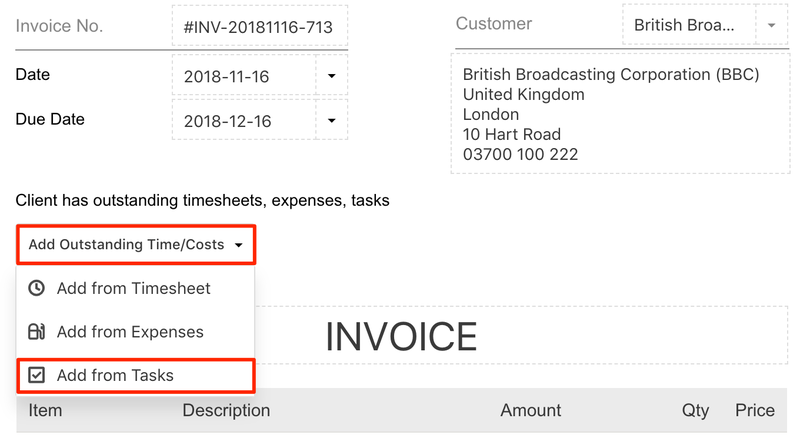 Tip: To change a task billing type more quickly, switch to Table View → head to the Billing Type column → click on the dropdown button to choose "Flat rate"
3. All you've done so far is to set the stage for the invoicing part. 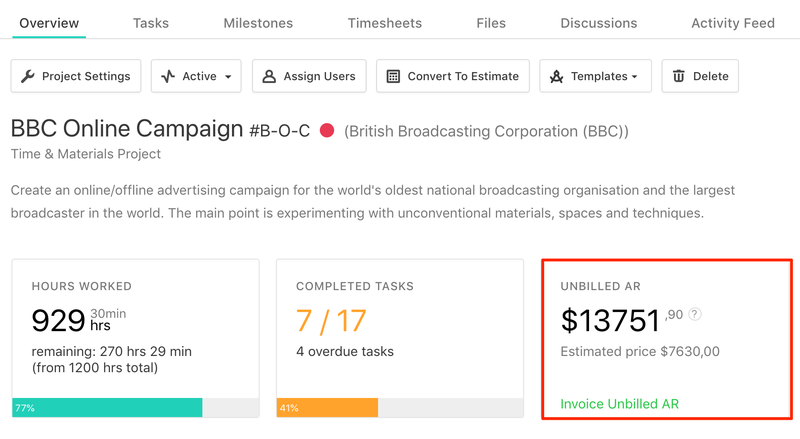 When creating an invoice, click on the Add Outstanding Time/Costs button → Add from Tasks → and select only the tasks that you wish to bill. The rest of the unbilled tasks will show up under the Unbilled AR plugin, in the project Overview tab. Note: You'll end up with more than 1 invoice using this worfklow.